Our recommended replacement is the CTEK MXS 10 12V 10A Battery Charger and Conditioner MXS10. Great product, great deal along with great service! Thank you very much, it was a sensational purchase. I have a cabin and I need it, since it is with solar energy and in the winter there is very little sun. A friend has buy one in Germany, but I pay 50.00 € more for the same product. The shipment was quick and without complications. Fantastic.!!!!! Good quality product. Excellent charger. Very nice grips and appreciate the fixed plug and socket connector. The EXIDE 12V 15A charger is a professional charger that can be used for car batteries and other leisure-use batteries. It can also charge lorry and bus batteries. It is a very cost-effective charger for users with high demands on charging of all batteries up to 300 Ah. It prevents overheating as it has a built-in temperature compensator that adjusts the amount of charge power depending on the temperature around it. 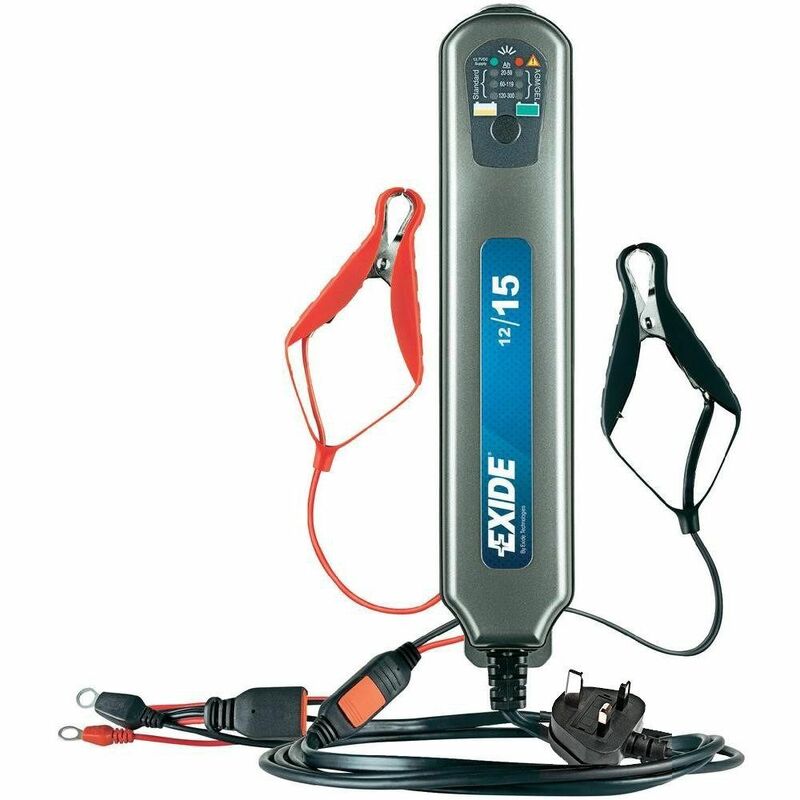 The EXIDE 12/15 is also spark-proof and is protected against faulty assembly and battery faults.